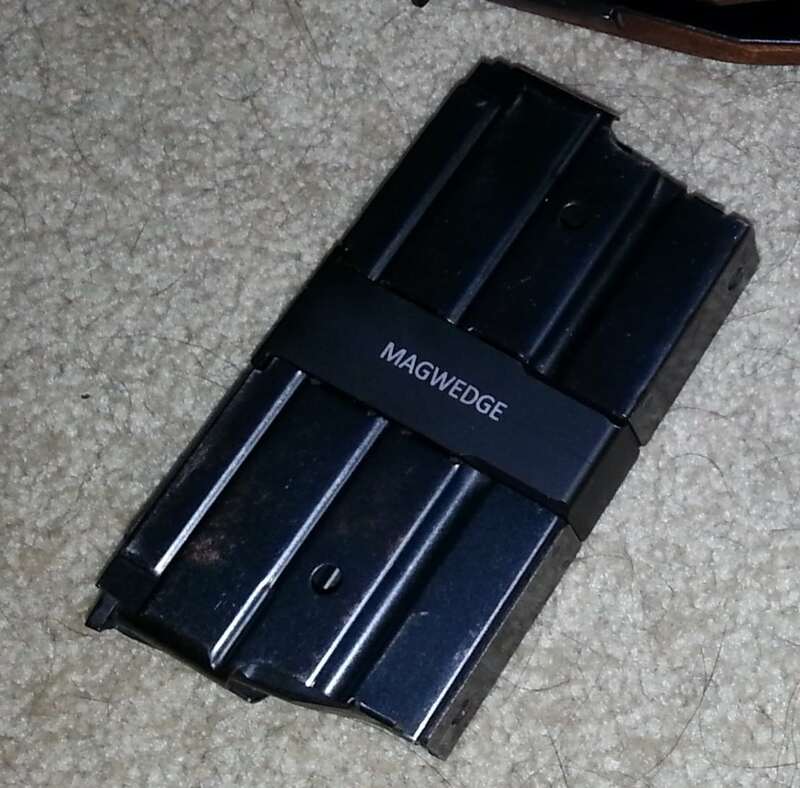 MagWedge Mini 14 Magazine Coupler – Connect two 5 round Mini 14 mags together by removing the base plate and sliding the coupler into place. No additional hardware required, couplers use the existing internal floor plate to lock into place. Coupled magazines offer a ready 5 round reload and make it easier to insert and remove magazines from the rifle. Will work with original Ruger 5 round Mini 14 magazines or magazines with an identical base plate arrangement.